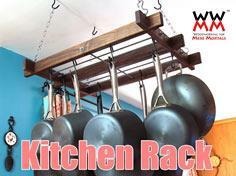 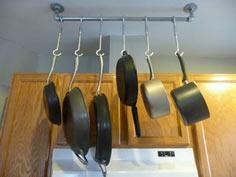 A pot rack is an indispensable addition to almost any kitchen. 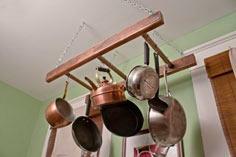 Whether mounted on a wall or suspended from the ceiling, you're gaining a lot of great storage for all those oddly shaped pots and pans that take up so much valuable cupboard space. 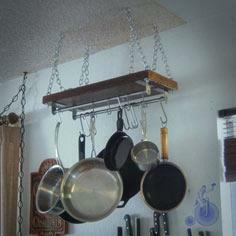 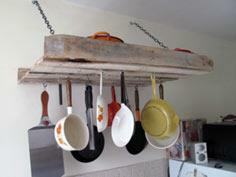 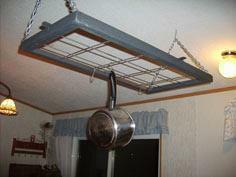 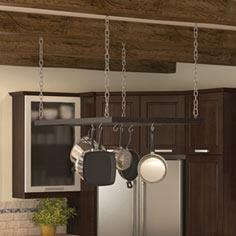 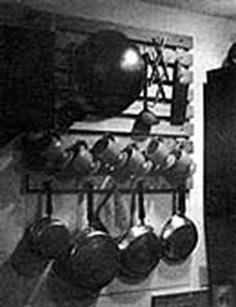 Build a pot rack that is basic, with simple dimensional lumber mounted with hooks and suspended with chain from the ceiling or screwed to a convenient wall. 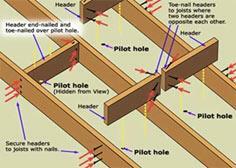 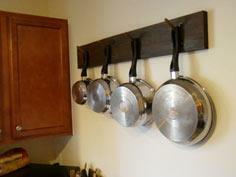 Take a few additional pieces of wood and create additional storage by incorporating a shelf above the hooks. 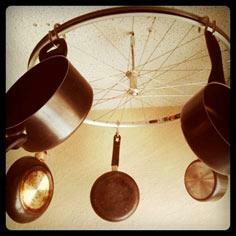 Or get eclectic by repurposing a bicycle wheel for a round suspended pot rack or add a shabby chic look by suspending a short ladder from the ceiling for loads of hanging space. 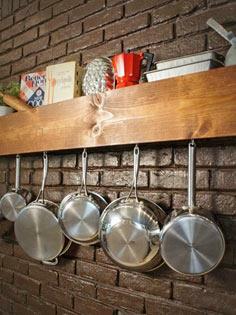 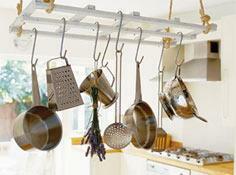 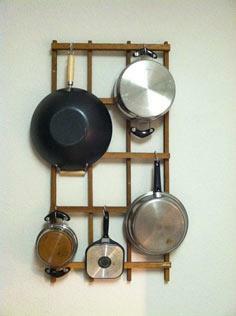 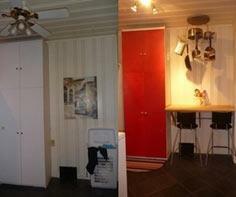 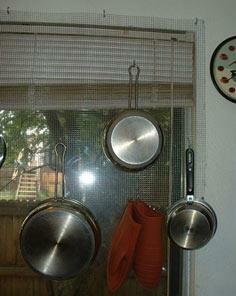 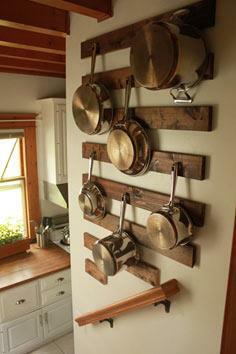 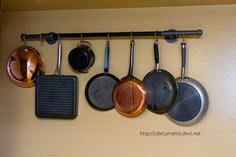 You can also mount pegboard on a wall and use it for pots, pans and often-used utensils for all-in-one storage. 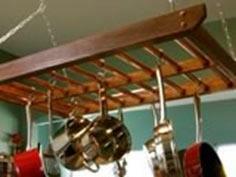 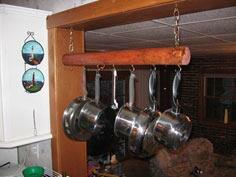 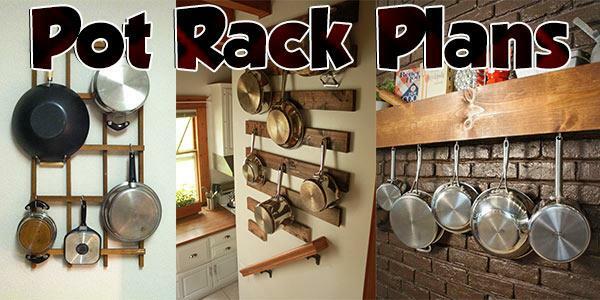 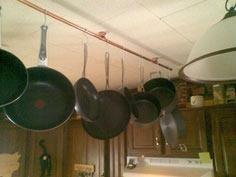 Wall Pot Rack - almost free!